The Pastors of Zion (POZ) and the Conference of Restoration Elders (CRE) invite all restoration branch saints and priesthood to consider participating in the 2019 Restoration Branch Family Reunion and Conference of Restoration Elders. The combined reunion and elder’s conference will be held at the Center Place Restoration School (CPRS)/ Waldo Ave Restoration Branch from June 23 to June 28, 2019. We believe that this week will once again be a wonderful opportunity for the Saints to draw close to the Lord and to each other. As in previous years, the primary focus of the week will be on worship, classes and fellowship for all, and an opportunity for the Elders to meet in conference. This year’s overall theme is, Be Ye Transformed (Romans 12:1-2 & Philippians 2:1-5). Through the following daily themes, we will focus on different aspects of what it means live transformed lives. Over the years, many people have dedicated their time in providing ministry throughout the United States and Canada. 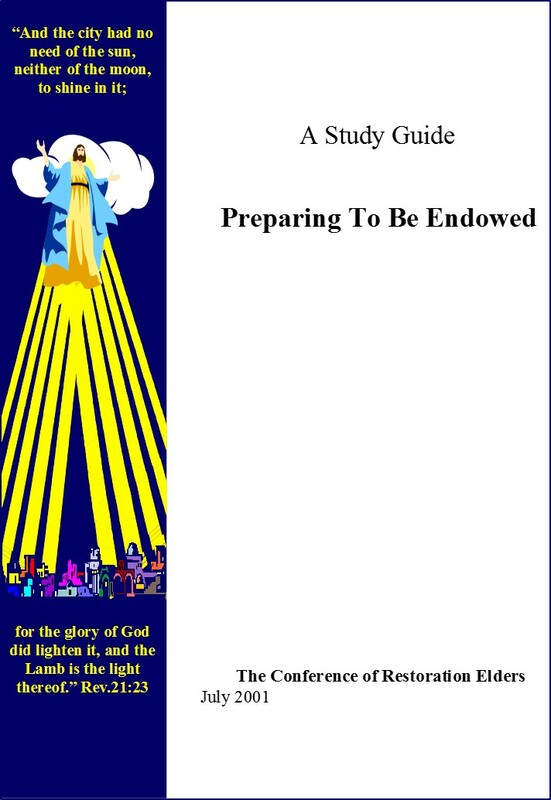 Since the 2017 Elder’s Conference and Reunion, we, as a body, have renewed our dedication to this field of ministry. Last year we had eleven regional gatherings where Saints in a geographical area came together to worship, study, and have discussion, as well as numerous trips providing ministry to the scattered Saints. At the 2018 Elder’s Conference and Reunion, the body decided to continue this ministry, and to continue it under the direction of the Coordinating Council. The Coordinating Council has asked Brian Mundy to organize this ministry. Please contact Brian if you would like ministry brought to your area, whether it be individually, for a group, or for an area.